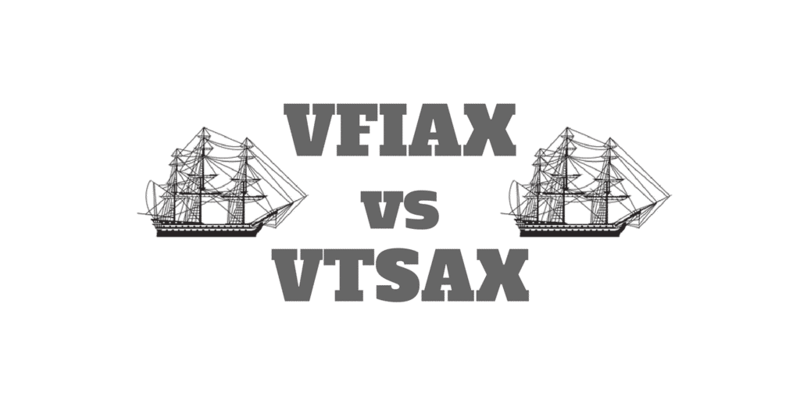 In the battle between low-cost Vanguard equity funds, VFIAX vs VTSAX, which is better? VFIAX is the Vanguard 500 Index Fund Admiral Shares while VTSAX is the Vanguard Total Stock Market Index Fund Admiral Shares. For investors looking for a more diversified portfolio, VTSAX is the better choice because it holds a much larger portfolio of securities compared to VFIAX which is limited to holding S&P 500 companies only. Both Vanguard funds charge the same expense ratio of 0.04% and both are categorized as Large Blend, so you can’t distinguish between them on cost and focus. But what about performance, yield, risk, and returns since inception? VTSAX vs VFIAX: Which Vanguard Fund Is Best? The Vanguard 500 Index Fund Admiral Shares [VFIAX] was the industry’s first index fund for individual investors designed to provide diversified exposure to the S&P 500 market at low-cost. Because the fund holds shares in the 500 largest companies in the United States, it offers exposure across industries and the companies held represent about 75% of the U.S. stock market’s value. The primary risk when holding VFIAX is from volatility that stems from exposure to the stock market. The companies have large capitalizations and so VFIAX is commonly a core equity holding in a portfolio. The fund is famous for having low costs, broad diversification, and offering the potential for tax efficiency. Like VFIAX, VTSAX is commonly held as a core U.S. equity holding but also exposes investors to risk of volatility from stock market swings. A primary difference between the Vanguard Total Stock Market Index Fund [VTSAX] and the Vanguard 500 Index Fund Admiral Shares [VFIAX] is the number of stocks held by each. The Vanguard Total Stock Market Index Fund [VTSAX] holds over 3,000 stocks (3,624 as of Dec 2017) while the Vanguard 500 Index Fund Admiral Shares [VFIAX] holds approximately 500 stocks (508 as of Dec 2017). For investors seeking broader diversification, VTSAX is the better bet. While both VTSAX and VFIAX have similar price/earnings ratios, earnings growth rates, turnover rates, and foreign holdings amounts, a primary difference is that the median market capitalization of the Vanguard 500 Fund is significantly higher. If you like the idea of sticking with the biggest companies in the U.S. then VFIAX is the better choice but if you want exposure to small-cap or mid-cap stocks that have the potential to become goliaths one day, but commensurately may have more risk, VTSAX is the better selection. No purchase fees, redemption fees, nor 12b-1 fees apply to either VTSAX or VFIAX fund purchases and holdings. However, you will be charged a $20 annual account service fee for each Vanguard Brokerage Account, and each individual Vanguard mutual fund holding with a balance of less than $10,000 in the account. This fee applies to non-retirement accounts, traditional IRAs, Roth IRAs, SEP IRAs, Education Savings Accounts (ESAs), and UGMA/UTMA accounts unless you signed up for account access at vanguard.com and chose electronic delivery of statements, confirmations, as well as Vanguard prospectuses and fund reports. Which Vanguard Fund Is Best? Both VTSAX and VFIAX have low expense ratios but which is a better bet for your portfolio? Compared to other similar funds, the expense ratios for both VFIAX and VTSAX are significantly lower. In fact, the average expense ratio of similar funds is 0.99%. That means on average over a ten year period, you would pay $2,242 for each $10,000 invested at a similar rival fund compared with $95 for each of the Vanguard funds, representing a total savings of $2,147. Both the Vanguard Total Stock Market Index Fund [VTSAX] and the Vanguard 500 Index Fund Admiral Shares [VFIAX] have low expense ratios of 0.04%, quarterly dividend distributions, and hold identical stocks in their top 10 holdings. For risk-averse investors, the Vanguard Total Stock Market Index Fund is more diversified because it holds over 3,000 stocks compared to around 500 in the Vanguard 500 Index Fund Admiral Shares. The returns since inception have been similar for both funds, though the Vanguard Total Stock Market Index Fund has a slightly better performance, averaging annualized gains of 6.69% compared to 6.12% for the Vanguard 500 Index Fund Admiral Shares (as of Q4 2017). For investors looking for dividend income, VFIAX is the better choice because it has a slightly higher SEC yield of 1.86% compared to 1.75% for VTSAX. Overall, both funds provide excellent exposure to U.S. equity markets as a low-cost core holding but keep in mind that stock market volatility will affect both positions so you may want to consider these equity funds in addition to the 7 best Vanguard funds. Have you traded VFIAX or VTSAX? What are the best Vanguard funds that you have invested in? Share your thoughts in the comments below, we would love to hear from you. >> Betterment Vs Vanguard: Which Is Better? ‹ Status Money Review – Compare Your Wealth!